The MINI brand is further enhancing the appeal of its model line-up this summer with new models, plus a range of new design, functionality, and infotainment improvements. As of this month, Irish customers can see the first MINI plug-in hybrid model when the Cooper S E Countryman ALL4 makes its debut. At the same time, the new John Cooper Works Countryman will become available to order. MINI describes it as the ultimate partner for all those who wish to combine a desire for adventure, versatility and off-road capabilities with hallmark MINI go-kart feeling. With an output of 231bhp working with MINI’s ALL4 all-wheel drive system, the new MINI John Cooper Works Countryman can sprint from 0-100km/h in 6.5 seconds. Meanwhile, the MINI Cooper S E Countryman ALL4 comes with a combined power with efficiency consumption levels 2.3-2.1 l/100km and combined CO2 emissions from 52-49 g/km. From July, 2017, MINI tells us that all their new models will feature an enhanced cockpit instrument that will offer improved clarity and an enhanced graphics display. At night time, the numbers and letters will appear in white rather than orange in future, and the fuel level display offers greater precision. Operation of MINI driving modes and their head-up display will also be revised. In a brand first, it tells us that the MINI Clubman and the Countryman will offer ‘Apple CarPlay’ and an alertness assistant will be introduced on the MINI three-door Hatch, five-door Hatch and Convertible models, which enhances safety on lengthier trips. On the driving modes, changing from the standard setting to sport mode or green mode will now be facilitated by means of a toggle switch positioned underneath the air conditioning controls. The head-up display controllers will be managed from a separate menu item in the MINI operating system from July 2017 onwards. 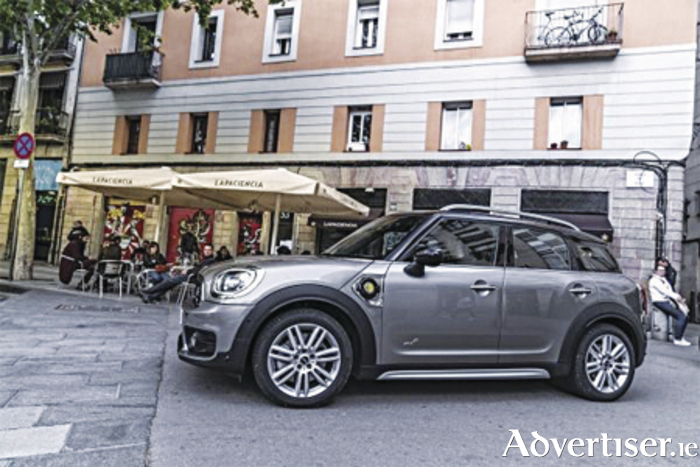 MINI has also introduced an accessory to make adventures a real possibility with Italian brand ‘AutoHome’. These specially designed two-man roof tents are mounted onto the roof of a MINI. The roof tent comes available in black or white, in keeping with the contrasting roof and mirror caps of the new MINI Countryman.